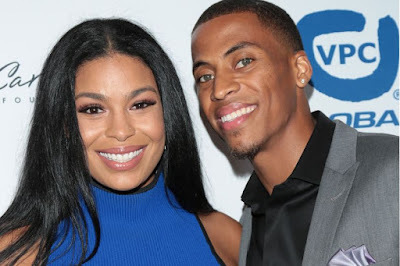 Jordin Sparks has revealed that she got married in secret four months ago - and is now pregnant with her first child. The American Idol winner, who was previously engaged to Jason Derulo made the shock revelation to People and admitted that days after meeting her husband Dana Isaiah just nine months ago, she knew they'd get married. After a whirlwind romance, the couple eloped in July and discovered they're expecting their first child in August. Jordin, 27, and Dana, 25, are now expecting their first child together late next spring. "We’re both really excited," she said. "He’s been like, ‘I want to shout it from the mountain tops!’ We’re really proud to be married to each other and to be celebrating this." Sparks met her new husband's family in Houston during Super Bowl weekend in February. When Isaiah planned to move to LA, their parents put them both on a group text chat. "My mom was trying to get [Jordin] to talk me out of moving to L.A because she’s experienced the industry out here," he said. "It wasn’t like, 'We want you guys to date.'" They quickly bonded over family life and religion and talked nearly every day before meeting up in LA. “A couple days after we had actually met, I was like in my head ‘That’s going to be my husband! That’s my husband right there,'" she said.